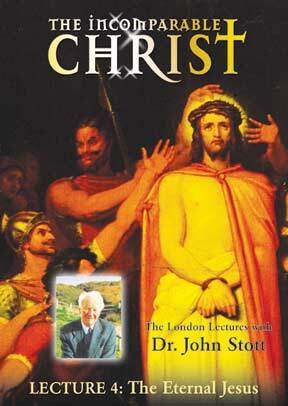 In this series of London lectures, John Stott provides a lasting legacy as he presents the Jesus of the New Testament and of church history. In this final lecture, a two-part presentation, Dr. Stott expounds on the comprehensive and compelling vision of Jesus Christ the living Lord as set forth through the eight visions of the Apocalypse, or Book of Revelation. He begins with guidance on principles of interpretation to be used in approaching this amazing final book of the Christian New Testament. He then treats each of the eight visions providing a valuable overview to the entire Book of Revelation, climaxing with chapters 21-22 with ChristÍs coming as the Bridegroom to claim His bride and the new heaven and the new earth. Dr. Stott has served as a Chaplain to the Queen, as President of organizations such as Scripture Union, TEAR Fund and UCCF and the London Institute and is one of the most prolific Christian authors of the century. He has traveled the world, ministering especially to pastors and students, faithfully proclaiming the fact and implications that Jesus is Lord.